My existing AJ is starting to get full. It wasn’t too big to begin with so that isn’t surprising – although *I* am surprised I’ve managed to make more than 2 pages and haven’t abandoned the process yet. LOL! Anyway, if you read here often you know I like making stuff from scratch. I had an idea t make an AJ that shared some of the properties of a paper bag book, in that it included areas to stash stuff. When at Staples, looking for something totally unrelated, I found these massive envelopes. 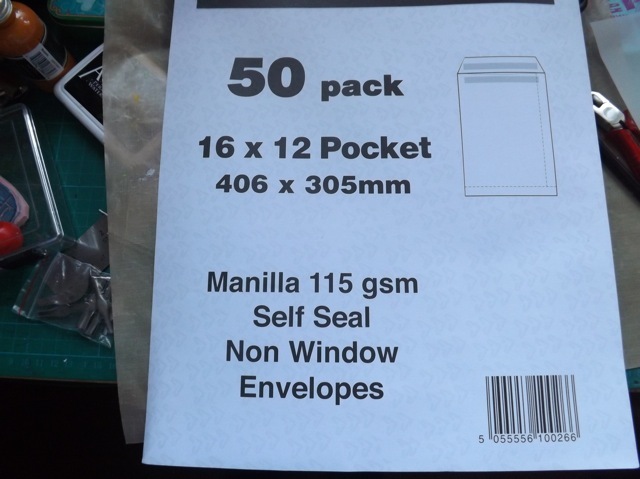 Note they are called “manilla” when in fact they are more like heavy paper bags. That is what I keep banging on about – the UK manilla isn’t like the US manilla..oh would that it was. 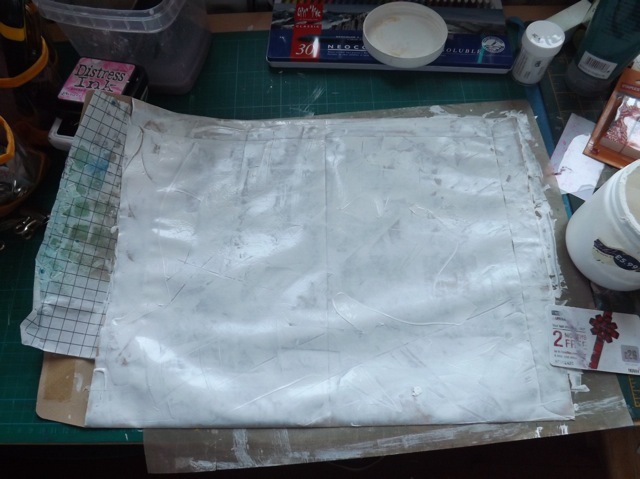 I knew they paper was likely to allow bleed thru so I decided to gesso the pages before constructing the book. 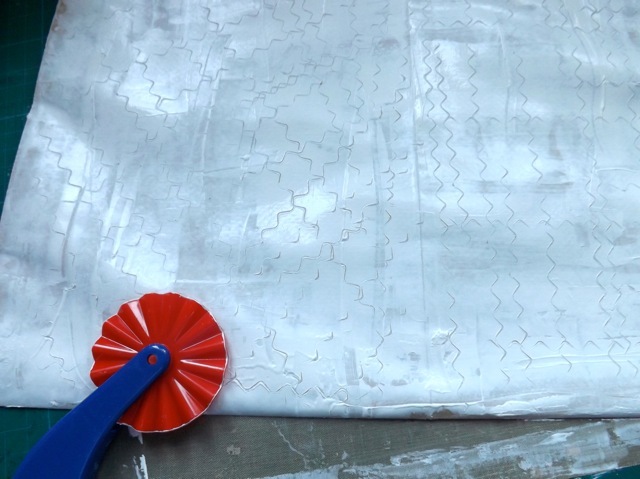 Some of the pages got scraped gesso, some got brushed gesso, and some got either one, then folded together and pulled apart to produce texture, then left to dry. 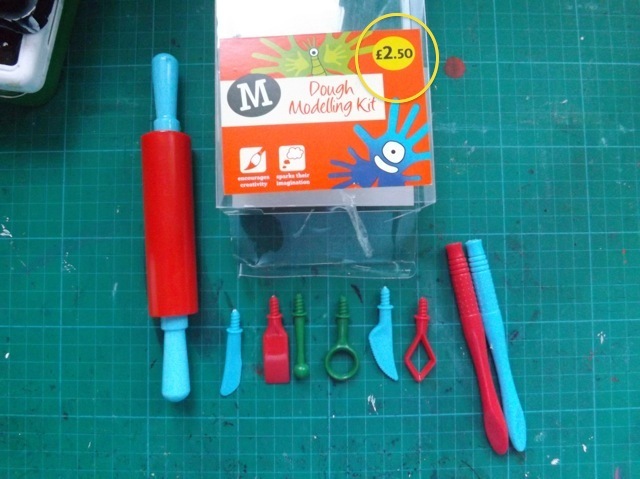 But another serendipitous thing – while at the grocery store I grabbed a cheap kid’s dough modelling toolkit. It had a pizza cutter in it so I used that as a texture tool. 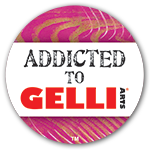 It is blunt so should also work fab on the Gelli plate! 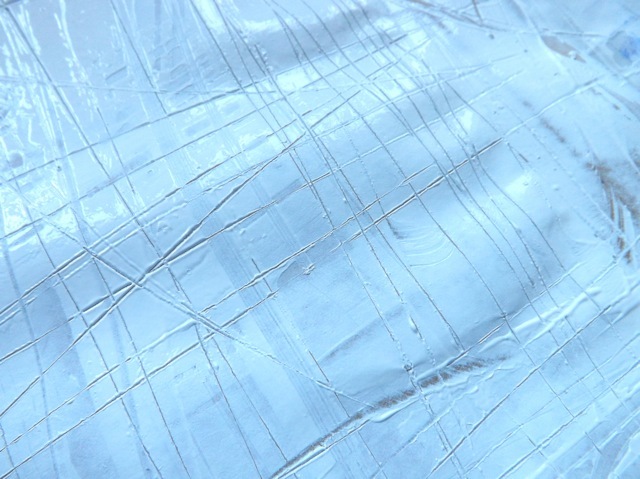 See how simple, but cool, are the marks? And there is a wavy scallop as well! 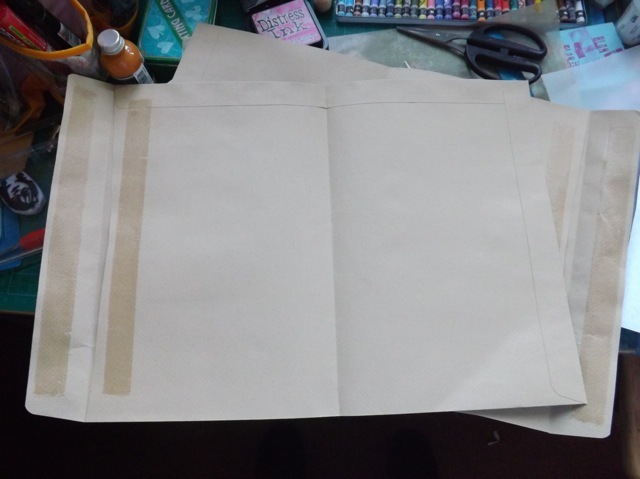 I think having the pages ready to go will mean no more fear of the blank page. LOL! Probably doomed to failure, if I were superstitious, as this is my 1300th post…. 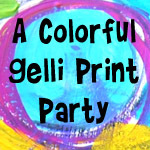 Categories: art journal, handmade books, Uncategorized | Tags: art journal, handmade books | Permalink. Love that Idea. 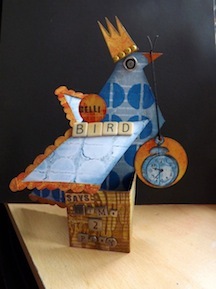 Im going to be making one using an evelope as the cover and card pages which I saw on a Terri Kahrs video on You Tube. 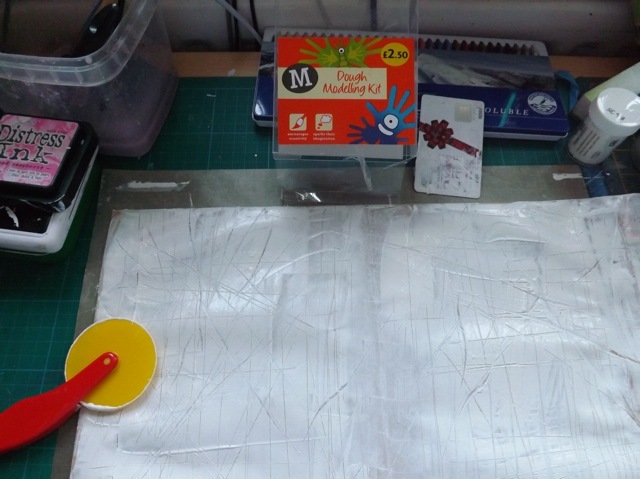 that is brilliant-using the kid’s kit to make marks in your art work! hmm…now maybe I will have to try that! looking forward to seeing how your journal turns out!